Self-driving cars, also called driverless cars and autonomous cars, are poised to change the world How Self-Driving Cars Will Change Transportation Forever How Self-Driving Cars Will Change Transportation Forever As we move into 2015, the question is no longer whether self-driving cars will replace manually driven cars, but how quickly they'll take over. Read More . Potential benefits include fewer traffic fatalities, increase energy efficiency, more time for those who would’ve been behind the wheel, less time stuck in traffic jams and looking for parking, etc. To balance all of those good things, there are a number of problems that may arise, such as the endangerment of millions of jobs Self Driving Cars Endanger Millions of American Jobs (And That’s Okay) Self Driving Cars Endanger Millions of American Jobs (And That’s Okay) The impending revolution of self-driving cars comes with one huge drawback: these things are going to destroy a lot of jobs. 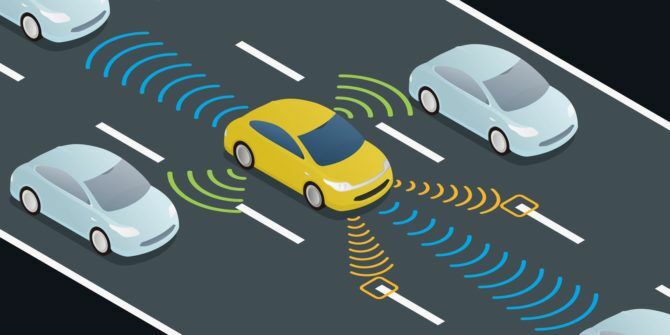 Read More and the security concerns of internet-connected cars How Secure Are Internet-Connected, Self Driving Cars? How Secure Are Internet-Connected, Self Driving Cars? Are self driving cars safe? Could Internet-connected automobiles be used to cause accidents, or even assassinate dissenters? Google hopes not, but a recent experiment shows there is still a long way to go. Read More . But the most pressing question in most minds is this: when a self-driving car does get into an accident, whose lives are prioritized? Everyone has a different perspective on this, which is what makes it so tough to answer — and out of this dilemma came a new website that puts the decision into your hands for you to decide. The site is called MIT’s Moral Machine. When you visit the site, click Start Judging to start the scenarios. Each scenario has a moral dilemma drawn as images, but if you can’t understand what it’s trying to depict, you can click Show Description for a literal explanation. The site is available in 10 languages as of this writing. At the end, you’ll see a bunch of statistics that describe your moral compass. Do you tend to uphold the law? Do you care about sheer numbers? Are you more protective of a gender or age? What about social value? And most interesting, you get to compare yourself against the average of all others who took the quiz. Want to learn more about how self-driving cars actually work? Check out our overview of the technology behind Google’s autonomous cars How Self-Driving Cars Work: The Nuts and Bolts Behind Google's Autonomous Car Program How Self-Driving Cars Work: The Nuts and Bolts Behind Google's Autonomous Car Program Being able to commute back and forth to work while sleeping, eating, or catching up on your favorite blogs is a concept that is equally appealing and seemingly far-off and too futuristic to actually happen. Read More . How do you feel about the advent of self-driving cars? Will it be a huge mistake for the world? Or is it exactly what we need right now? Share your thoughts with us in the comments below! Explore more about: Artificial Intelligence, Self-Driving Car. Many people lust after the latest and most amazing technological inventions, but I have a problem with my life and the lives of my loved ones in the hands of a machine or at the mercy of many machines traveling more than 70 mph. There will no doubt be top of the line and cheap models, performers and under-achievers. You can't replace a life lost when one of these things malfunctions. I personally will never own one, but I wonder what it will be like driving in an environment where other drivers are reading the paper, texting, dozing, or eating their lunch. I also object to the obvious record keeping these monsters will keep...where you go, when, with whom, and possibly even a recording of the conversations within the vehicle. We have to keep focused on the value of human lives, and as we are being reminded often, 'all lives matter'. Cooler heads should dump this idea.